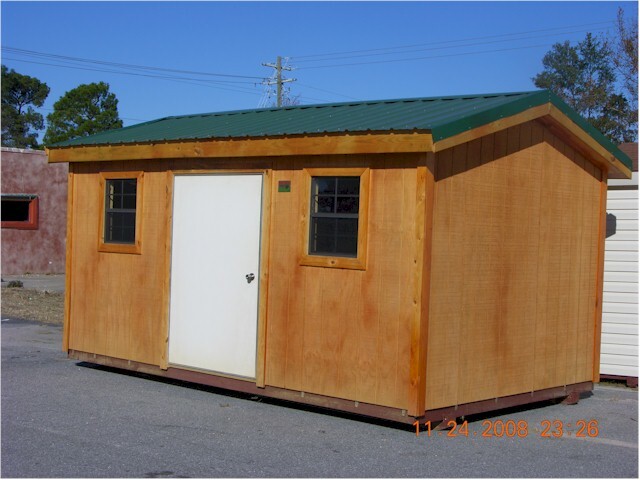 This building is made out of T-1-11 and is available with a metal roof or shingled roof. This building is designed to fit into a neighborhood that restricts aluminum buildings and you can paint or stain the T-1-11 to match your home. **For the Handyman who wants the exact same vinyl as your house, this style can be covered with OSB and delivered to your residence for you to install the vinyl.